We are engaged in manufacturing, exporting and supplying an exclusive range of Wrought Iron Products. 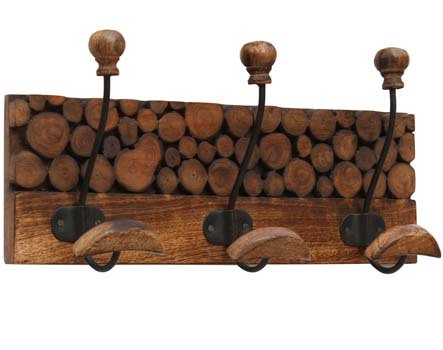 We offer two types of Wrought Iron Products such as Wrought Iron Bicycles and Wrought Iron Wall Hooks. The Wrought Iron Products, we offer, can be availed in different designs, sizes, patterns etc. as per the requirements. 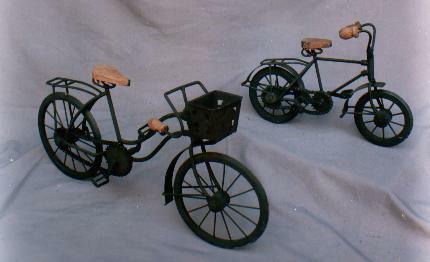 We present a wide range of Wrought Iron Bicycles which are used as decorative items. The Wrought Iron Bicycles, we offer, are excellent imitation of the real ones. Our Wrought Iron Bicycles retain their surface finishing for extended time. We offer these Wrought Iron Bicycles in bulk quantity at affordable prices.